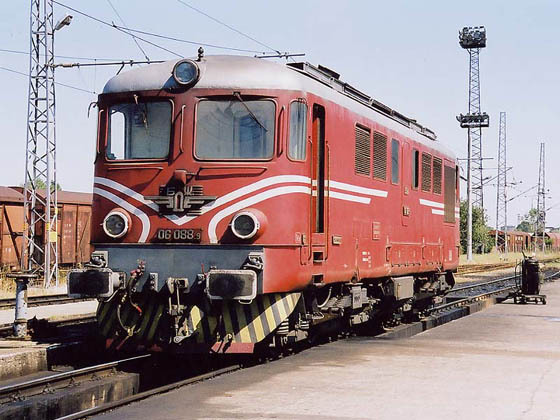 Between 1968 and 1972 Bulgarian Railways took delivery of 263 Faur built LDH 125 four axle locomotives powered by a Sulzer 6LDA28B engine coupled to a Voith hydraulic transmission. They were to a design built by Faur which eventually numbered 1,605 operating in nine different countries. 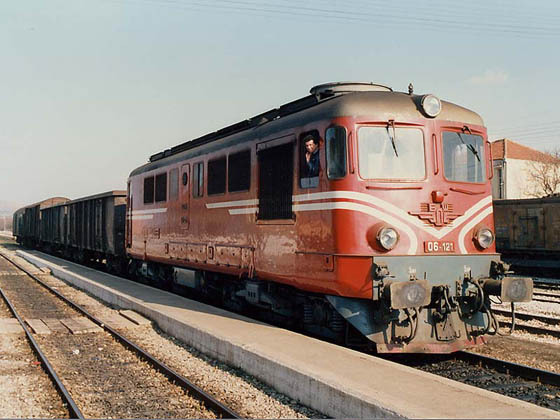 The Bulgarian Railways locomotives were numbered 55.001 - 55.263. 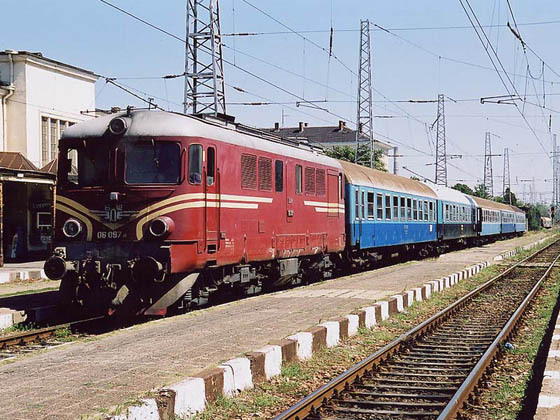 A line of three Faur LDH 125's headed by 55083 at Varna. A fine view of a work weary 55254 at Varna depot. 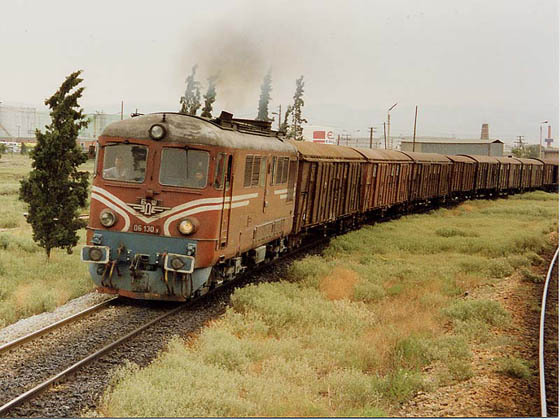 Between 1966 & 1975 the Bulgarian Railways took delivery of 130 Sulzer 12LDA28 powered 2,100hp locomotives. 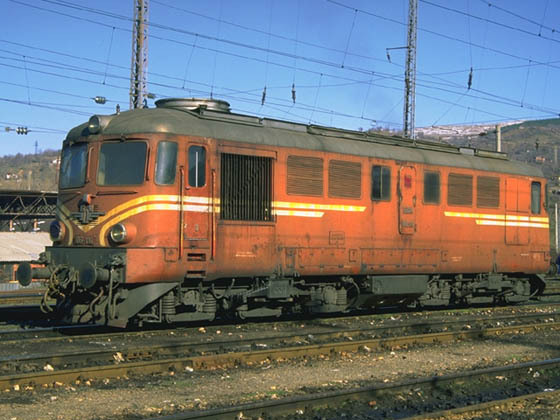 These were built by Electroputere, Craiova, Roumania and were very similar to 060 DA class locomotives operating on the CFR, Roumania. The following views are from the files of Phil Wormald, I seem to have mislaid the captions. 06033 on an unidentified passenger service. 06025 on an unidentified passenger service. Page added November 2nd 2003. Page last updated September 20th 2012.